"Rug maker are a true pleasure to work with. Richard and Julian are always available to talk through ideas and work very hard to find new solutions for manufacturing challenging designs. The results are exquisite quality rugs and an enjoyable process!" Helen Yardley, Helen Yardley Studio. "The rugs fully capture the iconic design of the Machin Stamp. The quality & detail that goes into every stamp rug is reflected in the positive comments from customers’ and anyone who sees the rugs." "Rug Maker produce top quality rugs with an exceptionally efficient and reliable service - they have never let me down!" Annie Phillips, Artist, Textile and Surface Designer. 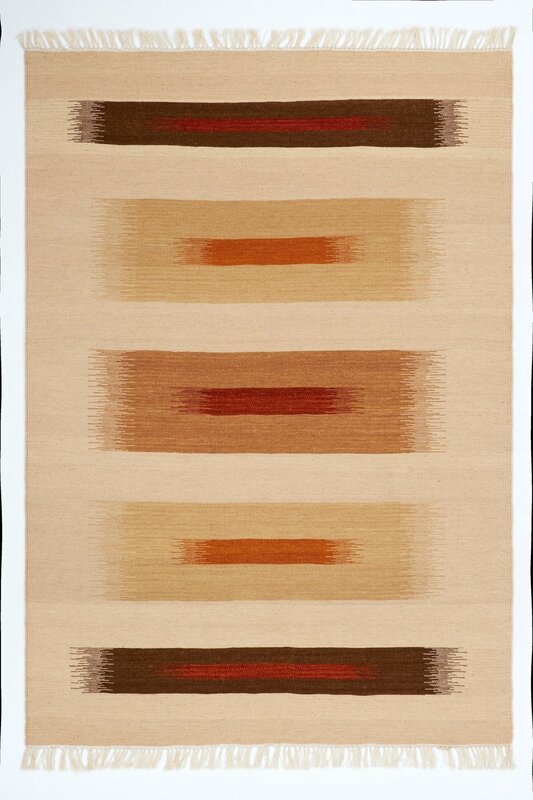 "(Julian and Richard at) Rug-Maker can do anything... no project is impossible for them. Expert, long nurtured, knowledge of the world of rug production means they are able to source the best manufacturer for any type of rug you may need. Enthusiasm and passion for what they do means every collaboration is a pleasure to create. This company; as their name suggests, really know how to make rugs." "Two of the most knowledgeable people in the rug industry and leading lights in developing new rug textures, products and software which moves our industry forward." Sara Barber, Persian Carpet Studio.